Sometimes I forget why I like summer, especially with temperatures rising to 106 degrees. But then I remember how much I like warm nights, barbeques, fireworks, outdoor activities, the beach, oh and did I mention barbeques? 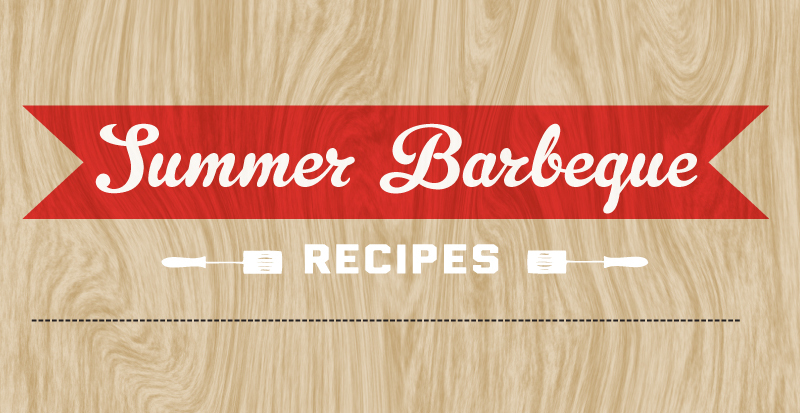 There’s no better way to enjoy summer than being able to grill up anything and everything. From fruits to steaks the possibilities are endless. The good news is that there are health benefits to grilling. One example is that cooking vegetables on the grill is quick, allowing them to retain vitamins and minerals. Although grilling can be made healthy, many of us end up eating meats that are high in saturated fat, cholesterol, and carcinogens when charred. 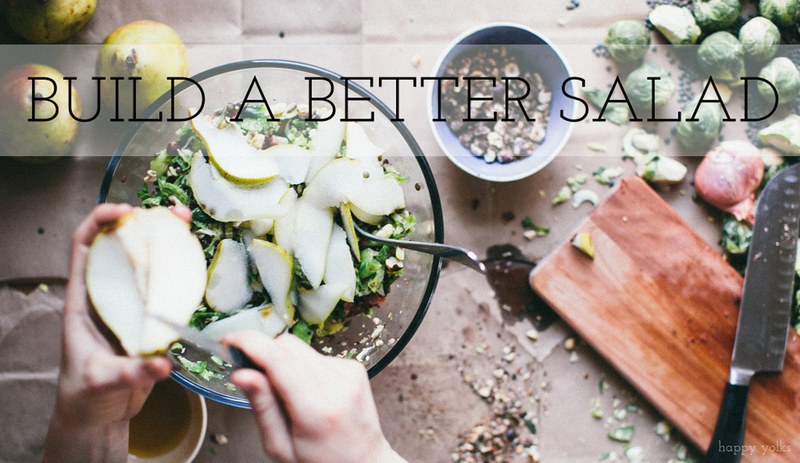 Instead of loading up on high fat meats, try some of these healthy recipes at your next barbeque! 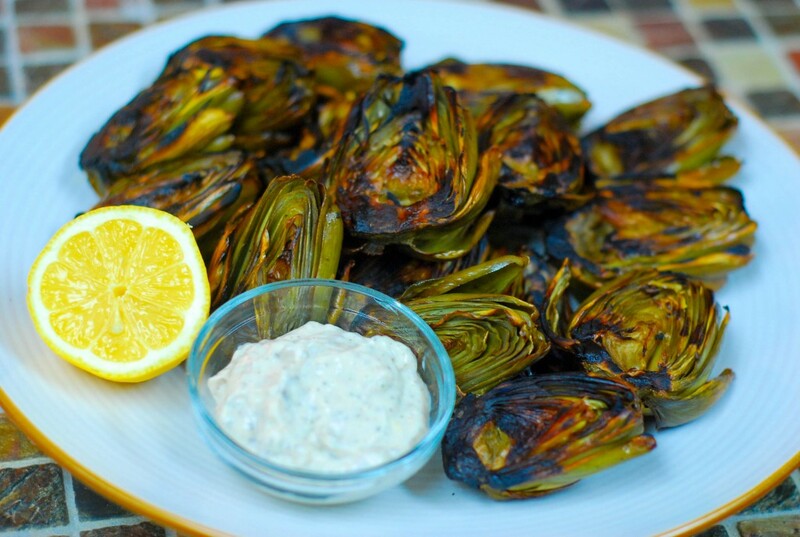 Grilled Baby Artichokes. Did you know that artichokes are a good source of vitamin C? Vitamin C helps our bodies absorb iron and plays an important role in immune function. Artichokes are also high in folate, magnesium, and fiber! This recipe includes a flavorful dipping sauce that’s made with light mayo and Greek yogurt. Greek yogurt’s thick and creamy consistency allows it to be a healthy substitute for mayonnaise in many recipes. 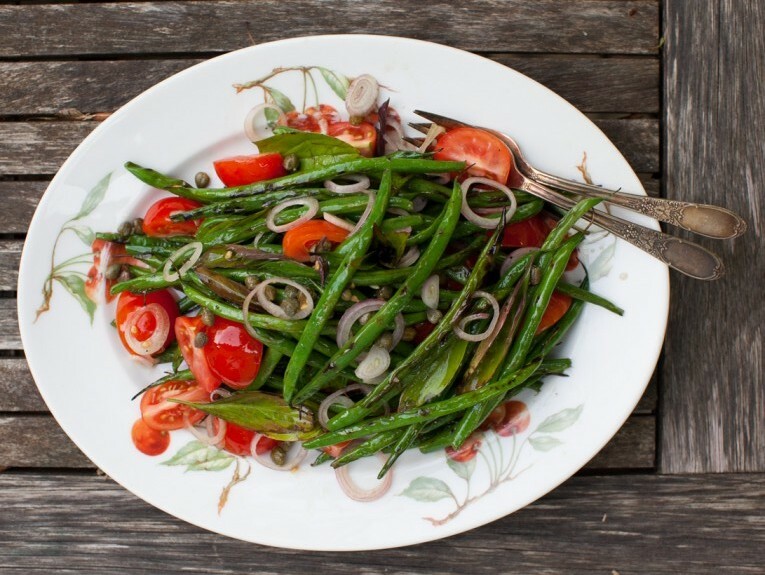 Grilled Green Bean Salad. I love how simple this recipe is! This salad is a good base to add any herbs or vegetables that will accompany your main meal. What’s even better is that green beans are high in calcium, which is important for building strong bones and teeth. 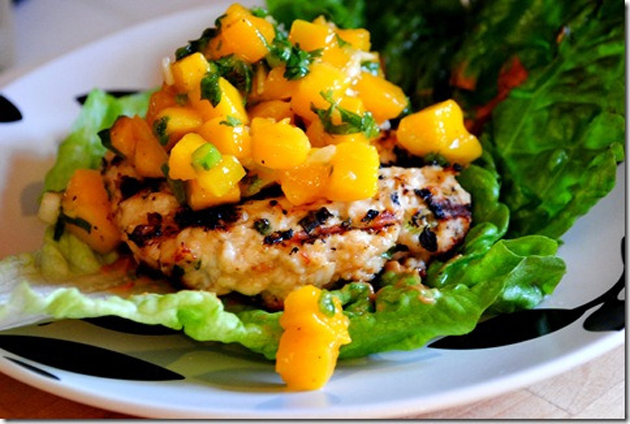 Thai Chicken Burgers. Burgers and barbeques go hand in hand. Instead of grilling the usual beef patty, try making your own patty with ground chicken! Compared to ground beef, ground chicken is lower in calories and saturated fat. You don’t have to sacrifice flavor by adding fresh ingredients like onion and garlic. This recipe takes creative spin on a burger by packing Asian flavors with sesame oil and garlic chili. The best part? Peanut sauce. Tofu Lettuce Wraps. Grilling isn’t just about meat anymore. 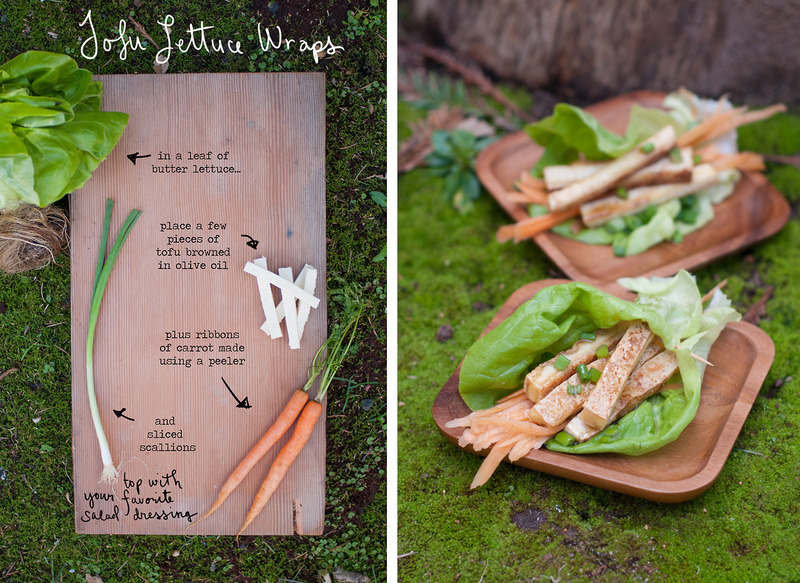 Venture out and try these tofu lettuce wraps that are perfect for a hot summer day. What’s tofu? Tofu, commonly used in Asian cuisine, is made from soybeans that are high in protein. Soy protein has been shown to lower bad cholesterol and reduce the risk of heart disease. Grilled Asparagus and Cilantro Pepita Pesto. 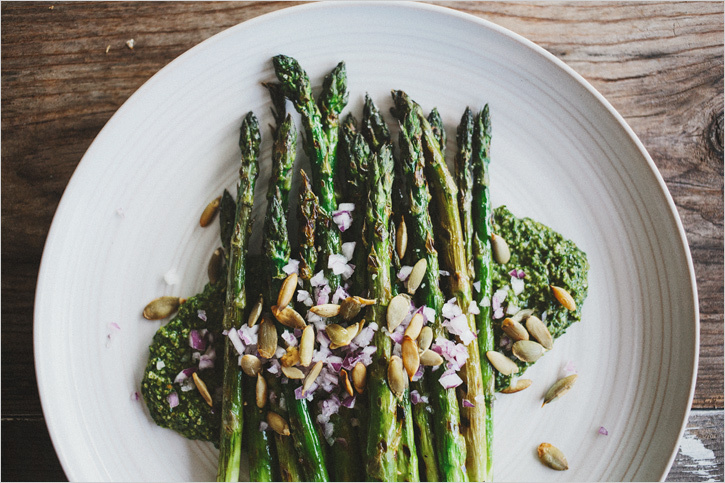 Asparagus is an easy vegetable to grill during the summer and what better way to serve them than with a cilantro pepita pesto. Pepita is another name for pumpkin seed and is packed with nutritional value from vitamins to amino acids. It also contains omega- 3 fatty acids that help reduce inflammation and the risk of heart disease. 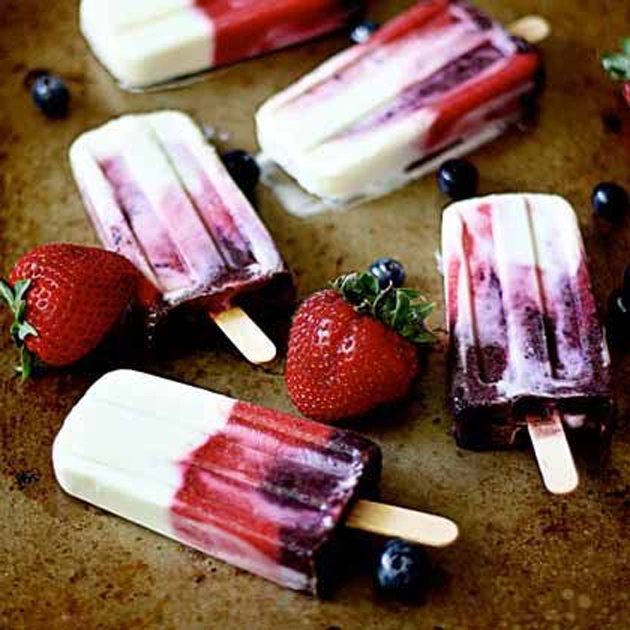 Red, White, and Blue Popsicles. There’s nothing quite as refreshing in 100 degree weather than a good popsicle. Homemade popsicles are a simple alternative to buying popsicles at the grocery store that are full of artificial coloring and added sugar. These popsicles look delicious with the balance between refreshing berries and creamy yogurt. You’ll feel guilt-free while eating one of these because berries are full of antioxidants. Strawberry Lemonade. Only four ingredients? I’m sold. When a drink is this easy, there’s no reason to buy soda for your next summer barbeque. 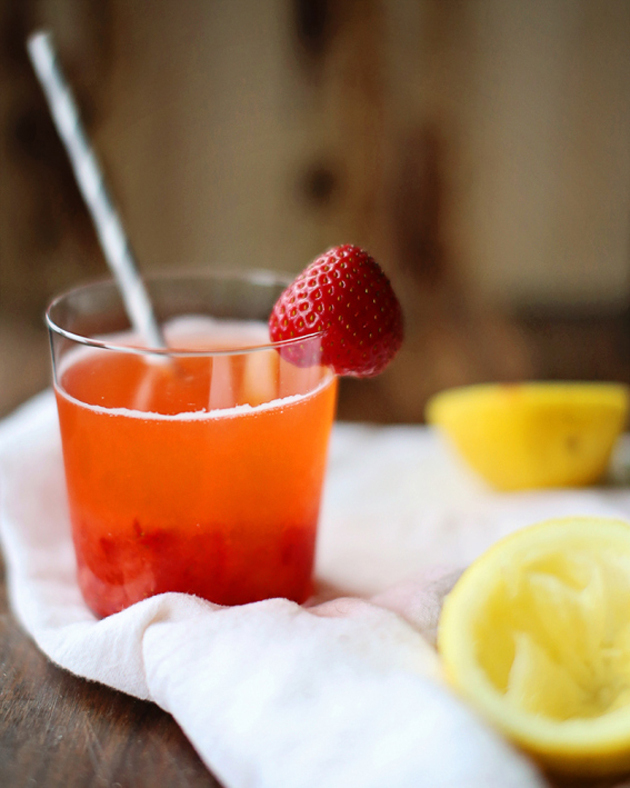 Fresh strawberries and lemons are the stars of this drink that balance each other nicely between sweet and tart. Not only do the lemons add a nice tang but they also contain antioxidants and are good sources of electrolytes that help maintain your body’s function.